And he will also lead us to traveling across cities in Indonesia, he write about the special places, special scenery which is so beautiful, beautiful and historical building, and etc. I love this e-book… when I was reading it… it seems I’m the one who traveling across those cities… seeing all that sceneries… and when I jump to the argument about financial.. gosh it’s just like joining in the seminar but fun economy!! then when reading about our national history…It seems that this book dragging me into library and I’m busying myself searching for facts just like detective searching for clue… awesome… this book just like a journey… journey that make me more fall in love to Indonesia.. make me want to travel more reveal what this country hiding behind those terrible news on media…overall.. you have to read this!! 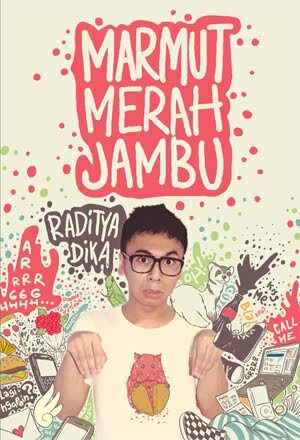 Raditya Dika… Raditya Dika… always be my favorite when I want to laugh… his first book Kambing Jantan is phenomenon one… ROFL! !